! 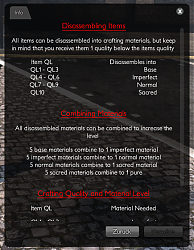 Overwrites the [Script] "Crafting Blueprints" Script ! 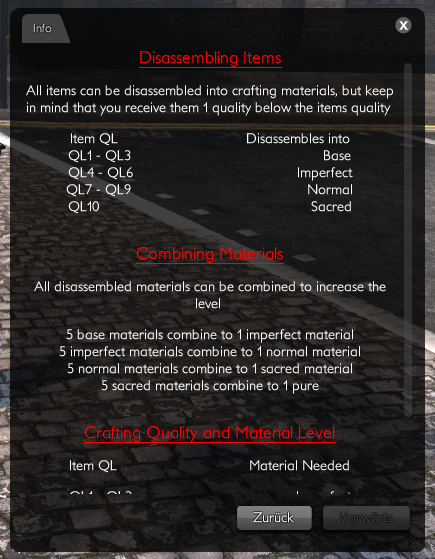 This is another version that i want seperate from the Original "[Script] "Crafting Blueprints"" because it uses 2 Files and adds an information script that explains what QL disassembles into what material, shows how to upgrade materials and what material you need to craft a specific Quality. 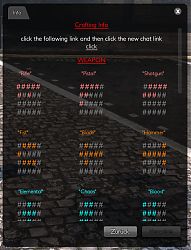 Currently it's only in english, but it works with the german client also. 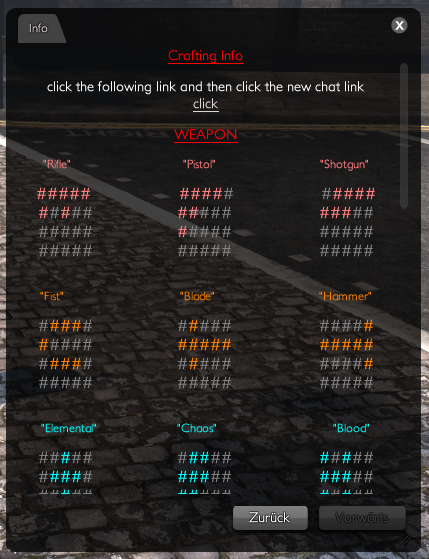 For the french client: open the files with a texteditor and change the "/text" to "/texte" and save it --- it seems that this is the only problem with the french version of the game.